Emaar Properties shares witnessed late buying. Emaar shares rose 1.18 per cent to be at Dh5.13. Traded volume stood at 11 million shares, compared to last week’s average of 6 million shares. Dubai Islamic Bank closed 0.40 per cent higher at Dh5.04. Gulf Finance House closed 0.98 per cent higher at Dh1.03. DFM shares rose 2.17 per cent higher at Dh0.800. Traded volume stood at 19 million shares, the highest volume since May 21, 2018. “DFM shares have been witnessing accumulation and technicals are hinting at a further recovery to Dh0.85/0.92 in the near term,” Shiv Prakash, senior analyst with First Abu Dhabi Bank Securities said in a note. The Abu Dhabi Securities Exchange general index closed 0.35 per cent higher at 5,058.10. Abu Dhabi Commercial Bank and Union National Bank saw buying on the Abu Dhabi bourse, while the rally in Abu Dhabi Islamic Bank (ADIB) stalled. ADCB closed 0.99 per cent higher at Dh9.14, UNB closed 2.12 per cent higher at Dh5.31. “A break over the resistance of Dh5.38 in UNB shall trigger next leg up towards the Dh5.60 in the short term,” Prakash said. ”ADIB closed 1.64 per cent lower, snapping the four day gaining streak. ADIB closed at Dh4.80. “ADIB which seems to be benefiting from “rumours” of its merger with First Abu Dhabi Bank, a move investors seem to approve of,” Issam Kassabieh, Senior Financial Analyst at Menacorp said. “Momentum in both markets is required to pick up if investors expect a continuation of these green closings which could kick in from M&A activity, IPOs and/or stellar first quarter results,” Kassabieh said. Elsewhere in the Gulf, Saudi Tadawul index closed 0.11 per cent higher at 9,057.75. 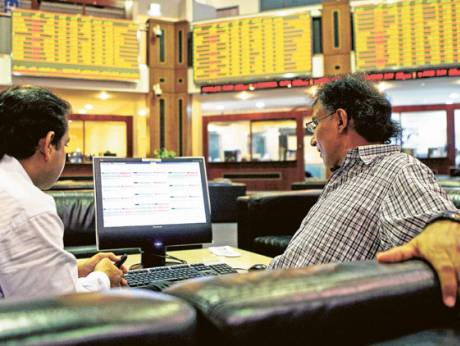 The Muscat MSM 30 index closed 0.30 per cent higher at 3,983.79.